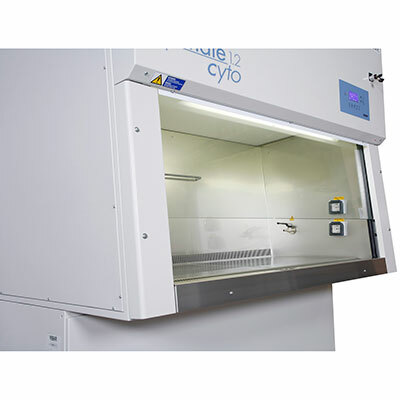 LAF Technologies is the exclusive Australian agent for EuroClone and their world renowned range of professional cytotoxic cabinets. 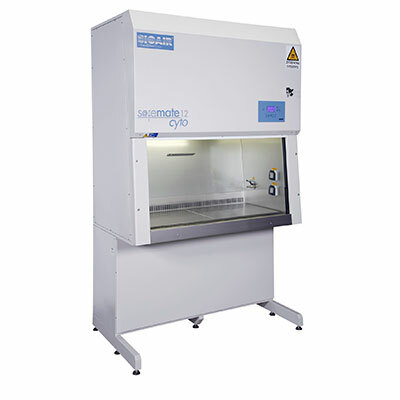 Manufactured in Italy to the highest standards and used by leading research facilities throughout Australia and the world, our range of cytotoxic cabinets are perfect for facilities handling cytotoxic drugs. 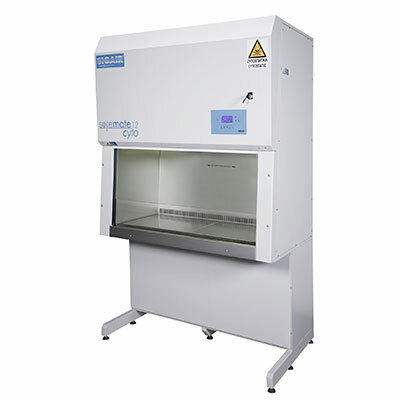 Unlike some competitive cabinets on the market, they are also specifically designed and manufactured to comply with AS 2252.5 Australian standards. Cytotoxic drugs are therapeutic agents intended for, but not limited to, the treatment of cancer. These drugs are known to be highly toxic to cells, mainly through their action on cell reproduction. Many have proved to be carcinogens, mutagens or teratogens. 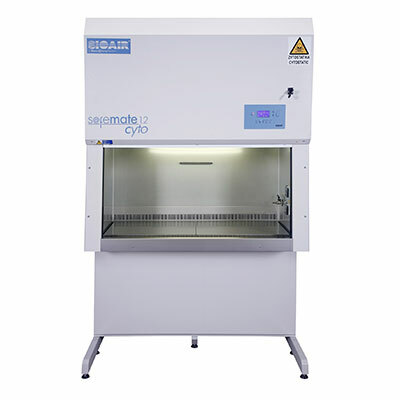 Cytotoxic drugs are increasingly being used in a variety of healthcare settings, laboratories and veterinary clinics for the treatment of cancer and other medical conditions such as rheumatoid arthritis, multiple sclerosis and auto-immune disorders. Health effects attributed to exposure to occupational cytostatic drugs can be very serious. Research shows that where a high standard of risk control is in place, threats to healthcare are reduced. However, no exposure limits are set for cytotoxic drugs. Medical opinion is such that even low-level exposure to cytostatic drugs should be avoided as much as possible. Research has shown that the implementation of suitable safety precautions reduces the incidence of adverse health effects. 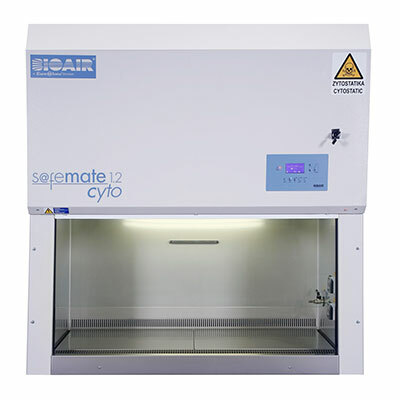 The EuroClone Safemate Cyto is manufactured and certified in accordance with DIN12980:2005 and EN 12469:2000, AS 2252.5 standards and provides the laboratory technician with the maximum level of safety against inhalation of aerosols generated during the reconstitution protocols. The internal design of the Safemate CYTO, the air flow aerodynamics and monitoring, the built-in safety devices, the exclusive patented “bag-in, bag-out” filter changing protocol and the very accurate manufacturing processes EuroClone follows, guarantees the highest performance and the most stringent safety levels, as specified. 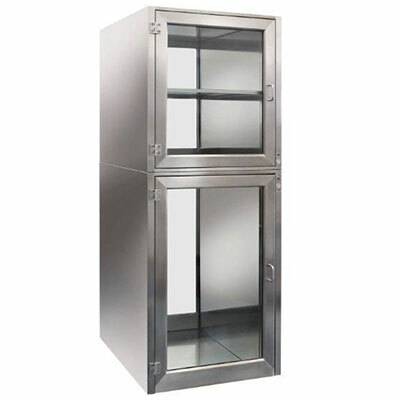 Certified intrinsically safe and very competitively priced, our customers can enjoy a truly state-of-the-art cabinet, the quality and safety features of which can only be achieved through European design and highly accurate manufacturing. An important safety element is also the third HEPA H14 filter stage, which is placed underneath the work surface. 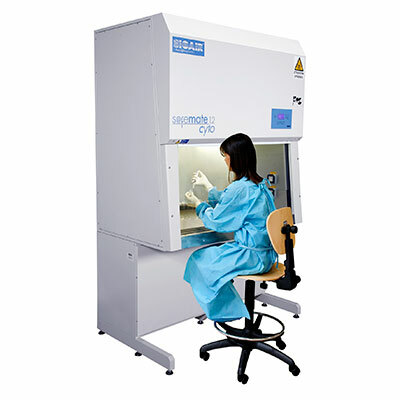 Aerosols generated inside the work area are captured by the third stage filter preventing cytotoxic compounds to contaminate the interior of the cabinet. Replacement of the third stage filters thanks to the patented “bag-in/bag-out” system is obtained without any risk of exposure to dangerous compounds for both the workers and the environment. The down flow and exhaust filters further process the air coming from the third stage filters. 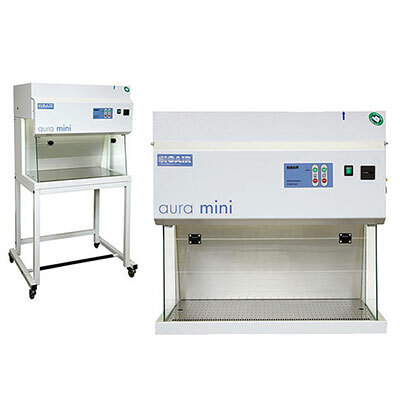 This advanced filtration system exceeds the required ISO5 / Class 100 air cleanliness for the preparation of parenteral drugs and also ensures the safety of the environment thanks to the three levels filtration of the recirculated air. 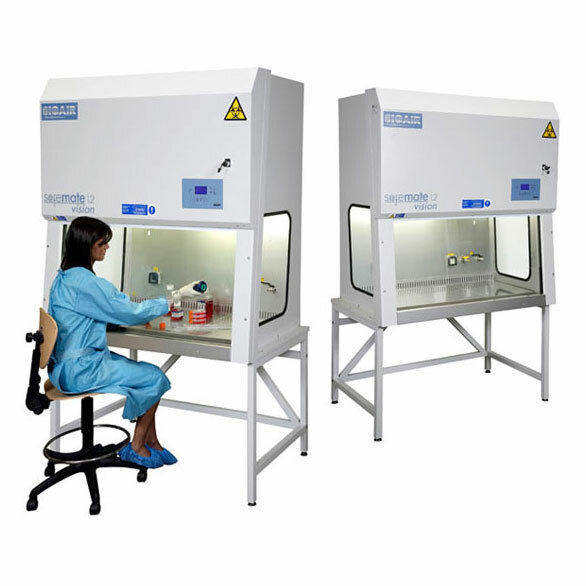 The cytotoxic drugs handling cabinet (Chemotherapeutic antitumoral reconstitution) is used for the preparation of Chemotherapeutic agents. 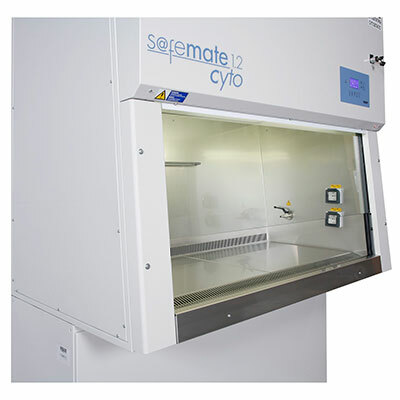 The Safemate CYTO series meets the stringent safety standards (DIN12980, EN12469 and Australian standard AS2567). LAF Technologies also provides NATA testing to ISO 14644, AS 2252.2 and AS 2243.8/9. 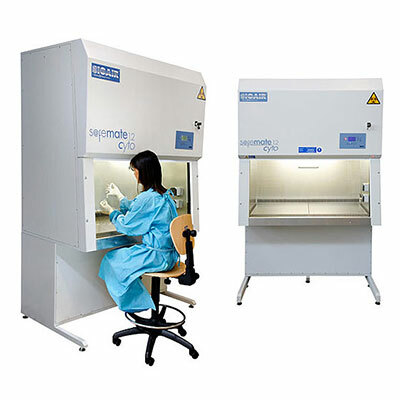 We additionally offer decontamination services for laboratory equipment, laboratory cabinets, workstations, incubators, rooms and spaces using AIHP for critical applications and H2O2 hydrogen peroxide vapor technologies. Solid work surface divided in sectors. Comfortable 195 mm front opening and special designed front grill ensures a constant front air barrier (air speed 0.5mt/sec). Sloped front design for the highest operational comfort and maximum work area visibility. Light intensity > 1200 lux. Work surface displacement (vibration) <0.005mm RMS between 20Hz and 20,000Hz (ISO 5349 tested ). Noise level ≤ 55dB(A) (ISO 11201, ISO 4871 and ISO EN 3744 tested). Back wall installed IP65 PC monitor (option). Three stages HEPA H14 High Efficiency Particulate Air filters with 99.995% efficiency on 0,1-0,3 μm particles (Most Penetrating Particle Size) (EN1822-1 and EN 13091:1999 tested) ensures ISO 5 air cleanliness (according to ISO 14644-1) or Class 100 (according to FED STD 209E) mandatory to guarantee product sterility and patient health. Sloped back side of the working chamber for the best down flow distribution. Exhaust and recirculating flow rates ensure 25 air changes/min in the working area (30% exhaust, 70% recirculation split). Exhaust transitions easily installable. In case of power failure, the cabinet is reset to original working conditions. 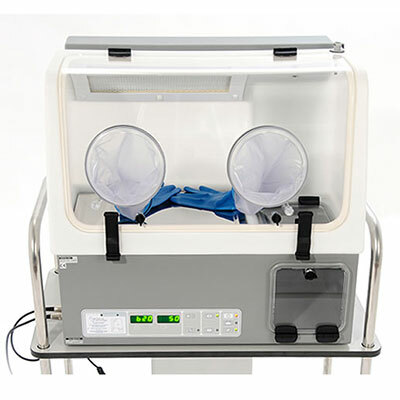 The patented Bag-in, Bag-out filter changing technique with continuously hermetic separation between contaminated areas and the external environment using third stage of filtration (with no need to be removed from the inside of the work chamber of the cabinet) ensures a safety level in excess of the one obtained with the Ohlmeyer procedure . The engineer is always working from external, not contaminated environment, and he is never in physical contact with contaminated materials or areas with potential high risk of contamination. The Internationally Patented Bag-in/Bag-out filter changing technique (Patent IT N° 1.387.496 dated 13.4.2011; EU N° 09156281.9-1253 dated 26.3.2009) avoids rupture of isolation continuity of the work chamber during filter changing procedure ensuring hermetic separation between contaminated areas and the external environment. References  M. Ohlmeyer, W. Strolz: Schwebstoff-Filteranlagen für die Abluft aus kerntechnischen Einrichtungen. Kernetchnik 15 (1973) Nr. 9, 416 – 423 Continuous Monitoring The cabinet performance is constantly monitored through a sophisticated microprocessor.Any malfunctions are promptly signalled to the operator through audible and visual alarms. 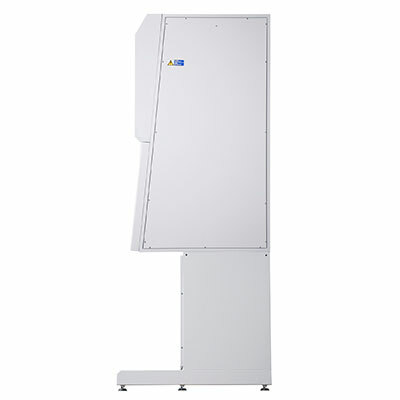 Volt-free contact for remote monitoring of exhaust fan or other functions related to cabinet status (on/off). Automatic reset of initial conditions in case of power failure. Visual display of SAFE conditions. Pre-warning before actual alarm conditions are reached (visual and acoustic alarms). Multilevel alarms, with redundancy functions. The robust metal work and the quality of the material ensure reliability and a long work life. Shipped in two separated boxes (base and cabinet) for the easiest and safest transportation and on-site installation. 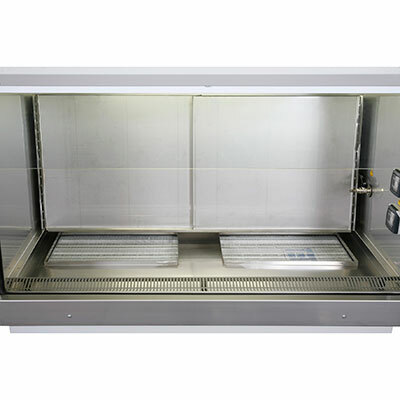 AISI 304 Stainless Steel internal surfaces with 2B finishing (including spillage tray). Solid work surface and special designed front grill. Electrically operated vertical sliding sash (multilayer 6 mm safety glass) with “yzy” movement that ensures maximum air tightness when in working position, by pressing the glass against the sealing gasket. The sliding sash is also hinged to allow easy cleaning procedures of the internal glass surface (swing-out feature). Cleanability Index ”C” grade. (EN 12296 tested and certified). CE certification according to Machinery Directive 89/392/ EEC, 91/368/EEC, 93/44/EEC 93/68/EEC.